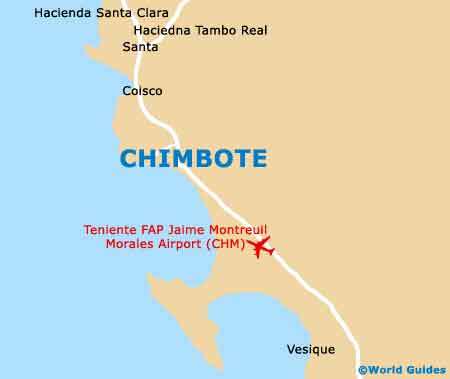 There really are only a handful of local festivals of note that take place every year in Chimbote. Particularly important are the Easter events in late March or the early part of April, with the Holy Week celebrations being known locally in Chimbote as Semana Santa and featuring everything from religious processions to all kinds of outdoor entertainment. 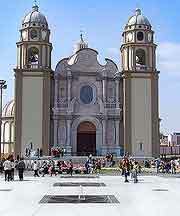 Other recommended festivals include the ever-popular Festivity of San Pedrito of Chimbote (Civic Anniversary / San Pedrito's Party), which takes place annually in the middle of June and boasts week-long events. Holiday makers will also enjoy the festivities staged soon after, during the Chimbote Touristic Week (Ancash), in late June. A number of national events are celebrated throughout Peru, with these official public holidays usually seeing crowds gathering in Chimbote. The main things to do include Inti Raymi (Festival of the Sun) and the Feast of Saints Peter and Paul, both of which are held in late June. On July 28th and 29th, the National Independence Day is always cause for much Peruvian patriotism and partying throughout Chimbote. This is also very much the case during the Battle of Angamos Day on October 8th, All Saints Day on November 1st, and the Feast of the Immaculate Conception on December 8th.